Retirement is an idea that can offer solace AND anxiety. It is something that we have to grasp financially as well as emotionally. And no matter what, it involves a considerable amount of the unknown. We’ve seen countless folks let their fear of the unknown get in the way of actual planning. 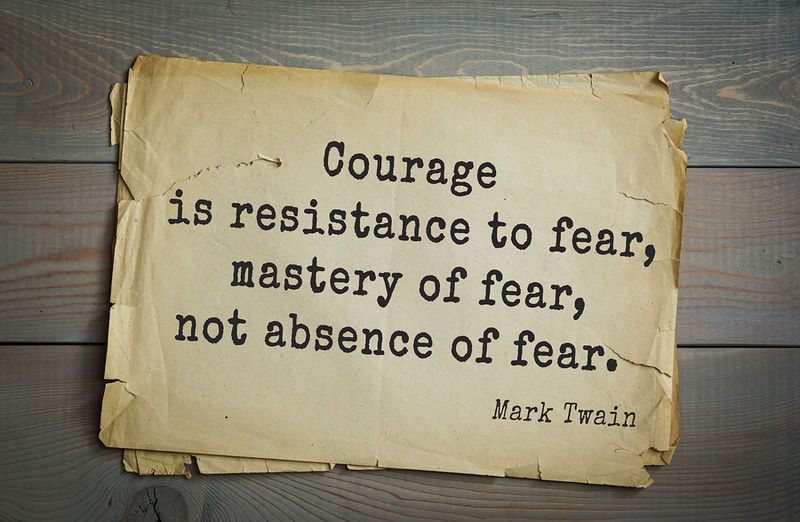 It’s human nature to avoid what we are fearful of, right? But, procrastination keeps this dangling over your head. A little financial planning could wipe away many, if not most, of your fears about your next phase, allowing you to gain enough courage to finally set the date for your retirement. Failure to properly plan: Getting a handle on what amount of income you will need in retirement and considering how long you may need it is critical. Be realistic. There are rules of thumb out there that 75 to 80% of your current income should suffice in retirement. We think that taking the time to calculate out your current budget with a critical eye to which expenses will stay and which will go when you retire is important for a successful plan. Plus, there are also those new expenses that arise during retirement that need to be considered as well. Being too reliant on Social Security: The Social Security system has become more than a safety net to many. Yet, there are consistently questions about the system’s soundness. A good financial plan will take a look at “What if” your full amount is not there for you when you need it? Thinking you won’t live long: Many take a look at their parents and grandparents to project their own longevity. However, take a look at your own health too! If you haven’t fallen pray to the ailments of your ancestors yet, you may not. Consider your lifestyle and habits as part of your longevity plan. You wouldn’t want to run out of money, would you? Not planning for your own Long-Term Care: While becoming ill ourselves or having a loved one fall prey to illness in retirement is something you may not want to think about, failure to plan for this possibility could wipe out a chunk of your retirement nest-egg. Simple planning for this “What if?” can provide you with peace of mind. And, if it happens that you need to put your plan into action, you’ve already figured it out in advance, so the stress of the illness can be reduced a bit by not having to worry about the finances too. Retiring and failing to continue to monitor your Financial Plan: With the fast pace of today’s markets, along with changes in tax-laws, interest rates, and even our own mindset as we come closer to retirement, it’s important to have an eye on your Financial Plan on an ongoing basis. Consider it a “living document” that needs your review annually and maybe even adjustments.